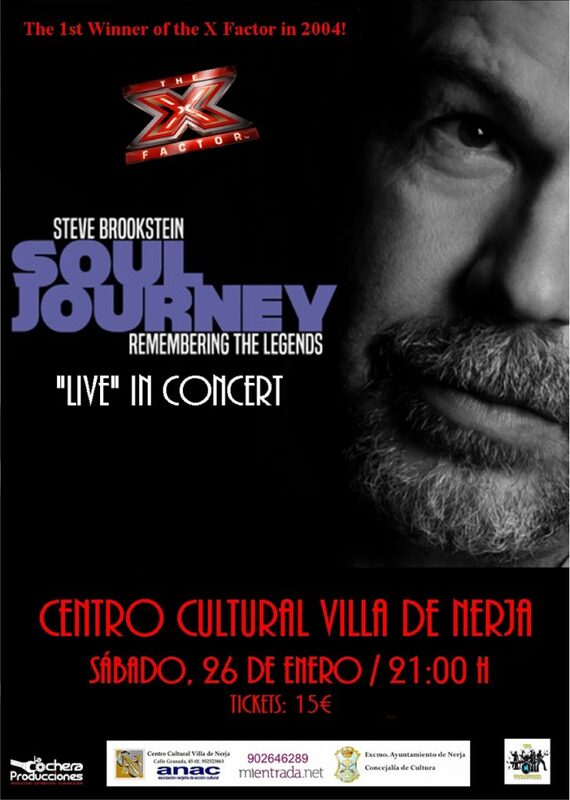 Soul vocalist Steve Brookstein is promoting his new show,SOUL JOURNEY – Remembering The Legends performing some classic tracks from the likes of Marvin Gaye,Luther Vandross, Teddy Pendergrass, Al Green, The Temptations,The Spinners and many more. 15 years since winning the world’s first ever series of The X Factor, Steve is celebrating this mile stone with his fourth album and a new show. In 2004, Steve won the global hit show with a UK record 6 million votes in one night that resulted in both a number one album and single. Steve has completed three UK tours including an arena tour with X Factor and three theatre tours, one of which was with the award winning musical Our House. He has duetted with multi Grammy Award winner BeBe Winans, reggae artist Maxi Priest and jazz award winners Ian Shaw and Liane Carroll. Truly one of the UK’s premier male soul vocalists.